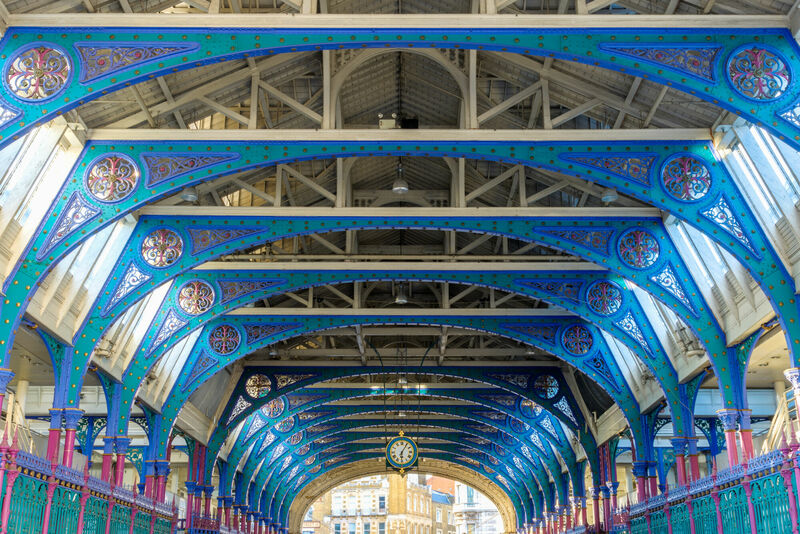 Constructed in 1953, the Poultry Market is a Grade II-listed building in the heart of London that forms part of Smithfield Market – the UK’s largest wholesale meat market. 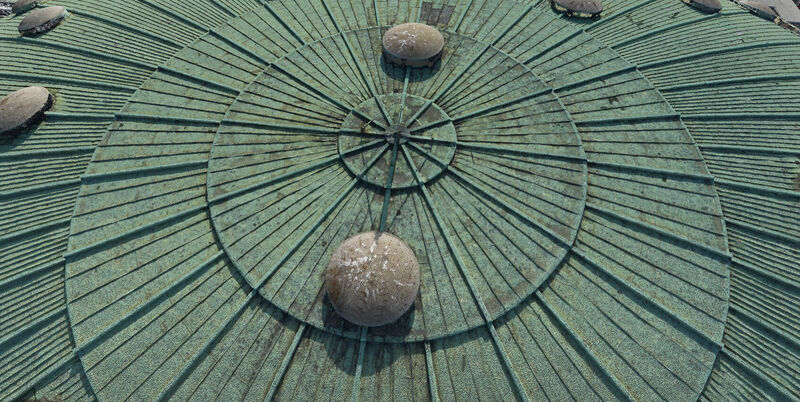 Designed by Arup, its iconic roof is claimed to be the largest concrete shell structure ever built and is remarkable for its span in relation to the shallow dome. 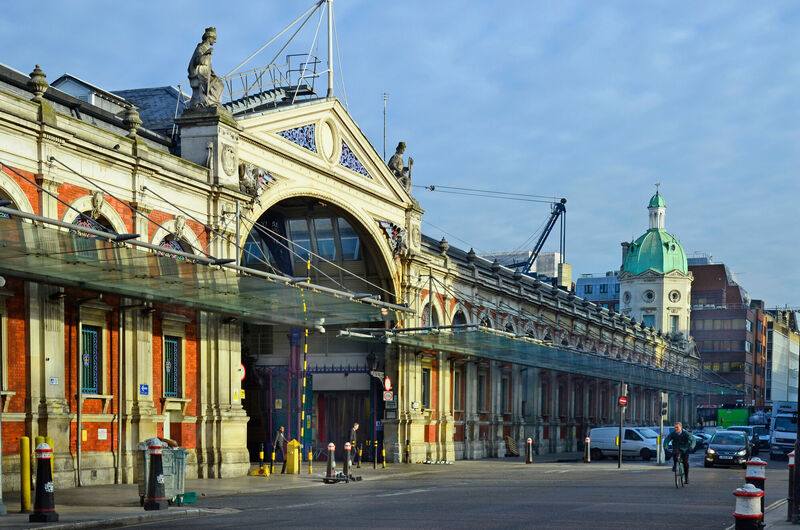 With the building in a state of disrepair, a renovation programme was required to replace a number of services and refurbish various MEP and structural elements, including the 225ft roof. 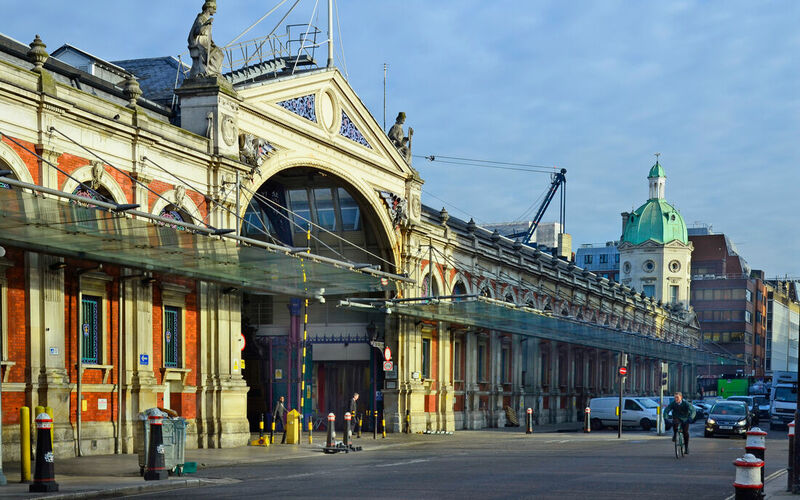 The building owners – the City of London Corporation – instructed Arup to scope out the programme, with Plowman Craven contracted to laser scan and model the building and its surroundings, as well as providing condition and MEP surveys. Our survey team spent almost three weeks scanning the interior and exterior of the building, covering everything from communal public areas to hard-to-access ventilation inverts. 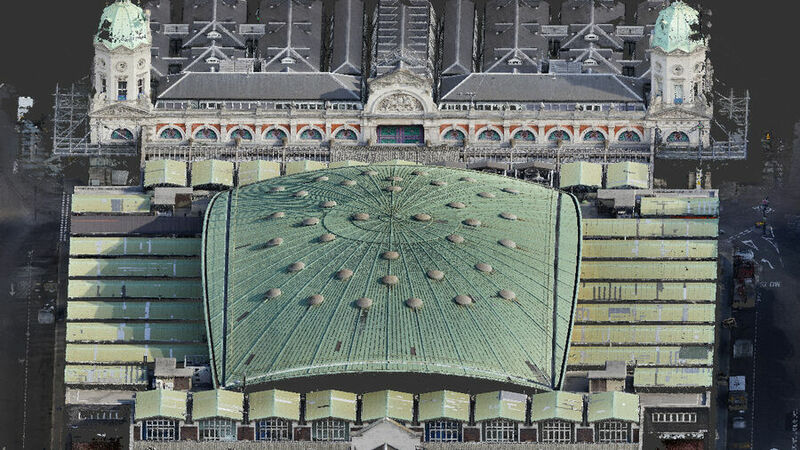 Using Leica P40 and Faro laser scanners, the team scanned for full-colour point clouds, working up from street level up to the roof. 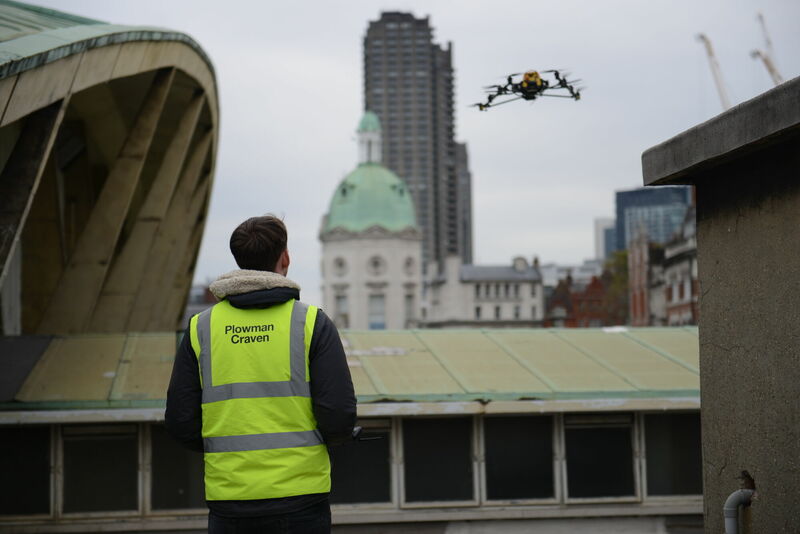 Controls were put out on the roof to assist the subsequent UAV survey. 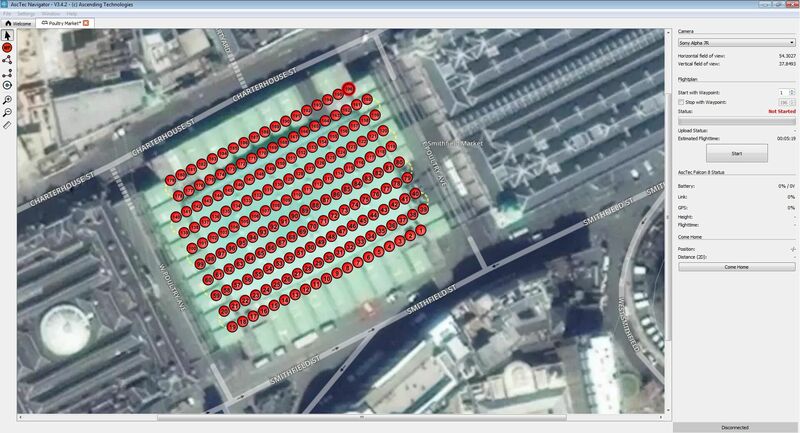 Full-colour 3D point cloud data of all internal and external areas. Surveying the roof proved to be a significant challenge for the team. Access through the back staircase was a problem, given that a 7m mast would be needed for a traditional laser scan, and there were a variety of Health and Safety issues – including the associated risks of working at height. All this meant that the decision to deploy our UAV team was an obvious one. 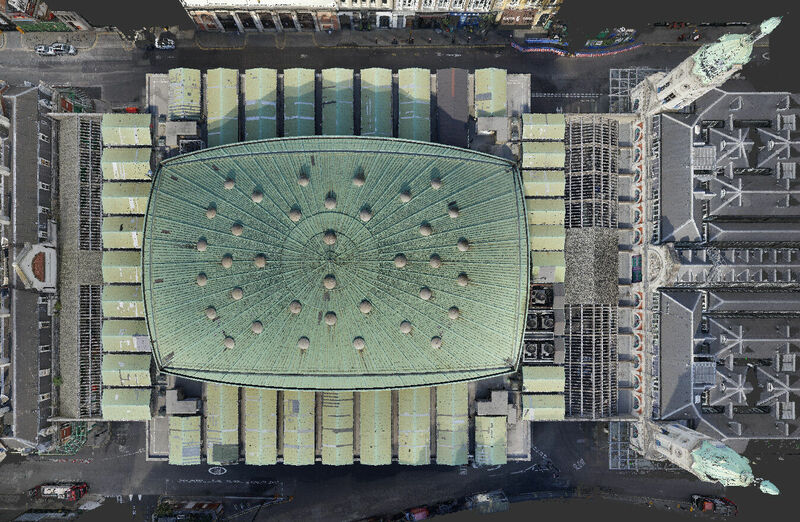 With a plan in place, we flew our state-of-the-art UAV (drone) 40m above the building, using manual and pre-programmed flight paths to capture the entire roof, canopies and all connected structures in a fraction of the time of a laser scan. Reaching the highest points inside - to create a traditional written condition report - would have been impossible without a cherry-picker. So, in order to provide the client with a full visual record of the state of the building to accompany the descriptions we deployed our 360° iStar camera to record the interior of the entire structure, with images being taken from the exact same locations as the laser scans. To create a traditional written condition report would have been impossible without a cherry-picker. 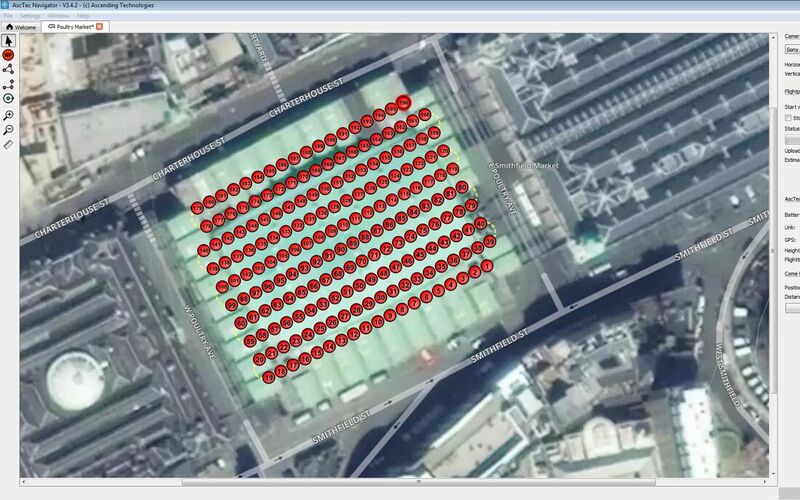 The 360° aerial panoramas captured by the UAV were also fed into the condition capture report. 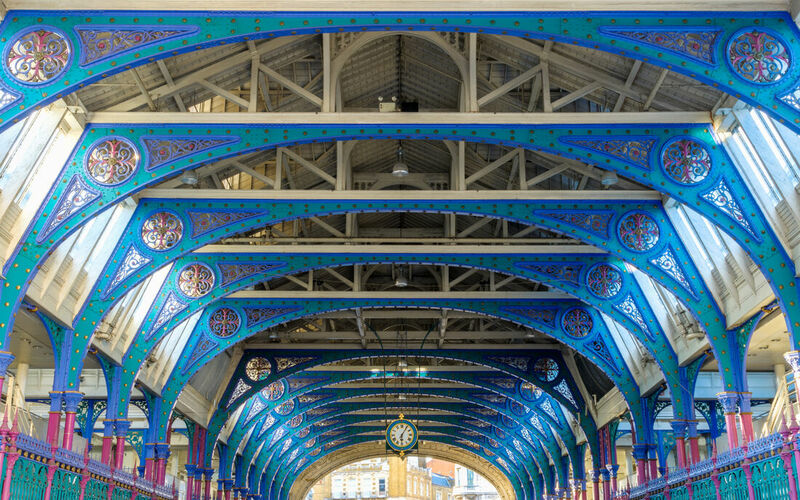 We can deliver a traditional PDF survey but our Condition Capture product is far superior, combining a written schedule with high-definition panoramic photography to create a very usable tool for clients. A site plan is also incorporated, along with hot links that take users to points of interest or a particular defect, and the entire survey can be accessed via an online portal. 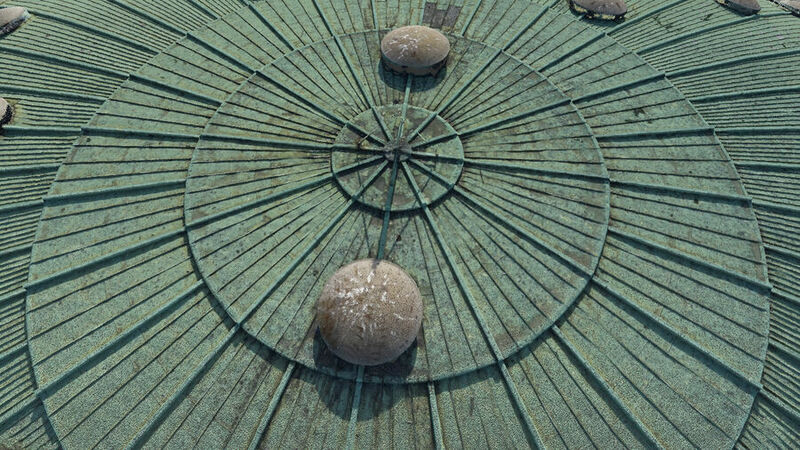 Using photogrammetric methods during the UAV and internal survey enabled us to visually fuse scan data and photography to deliver a unique 360° view of the point cloud data. Our TruView product looks like a photo but there is spatial data behind it, making it easy to navigate around the entire building and inspect measurements. 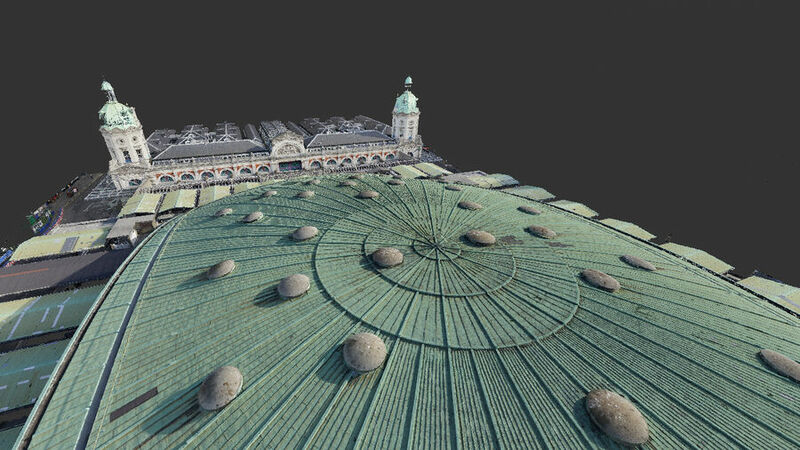 Viewed on Internet Explorer and Windows-based, it’s perfect for clients who are not used – or not able – to view point cloud. 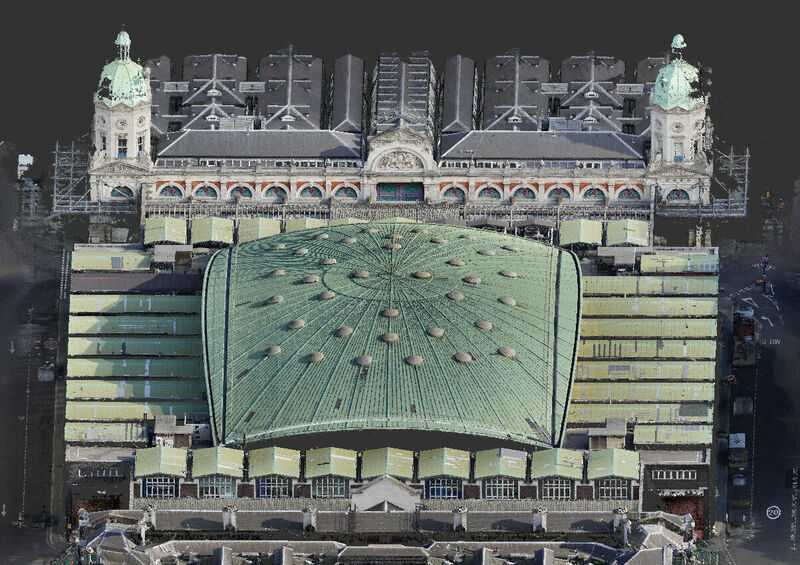 Taking the point cloud data that was gathered by the UAV and internal laser scanners, our Building Information Modelling (BIM) team delivered the results straight into a 3D parametric model for a highly accurate as-built model that was delivered to the client in Revit. A comprehensive MEP survey was delivered, providing information on the full range of mechanical and electrical features, covering everything from electrics, gas and water to ventilation and refrigeration installations. 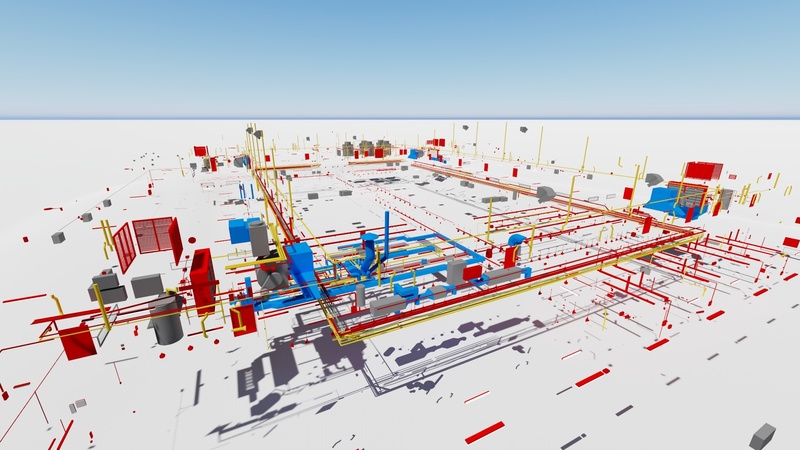 These services were surveyed, tag and traced, load-monitored and condition-surveyed to compile a comprehensive MEP report that was presented as 2D AutoCAD drawings, written reports and as part of the 3D Revit model. The survey information was also linked into TruView and Condition Capture. 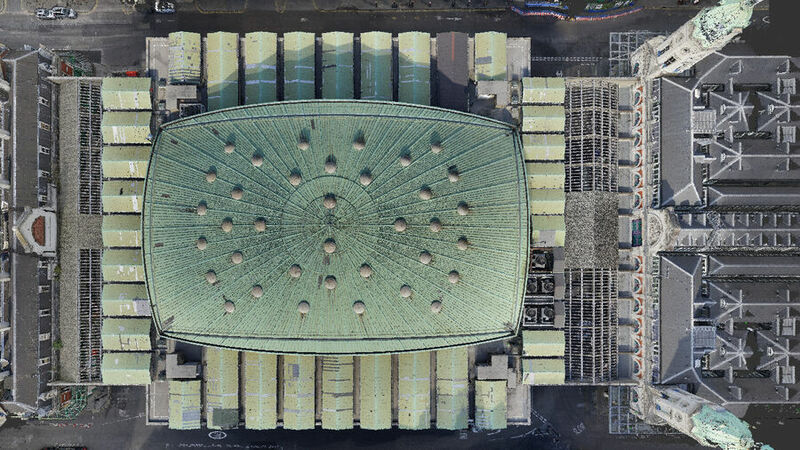 With only partial architectural, mechanical and electrical design drawings available for Poultry Market, the lead designers (Arup) recommended a full range of surveys in order to inform the design of the building services and analyse the parabolic structure of the dome with greater certainty. 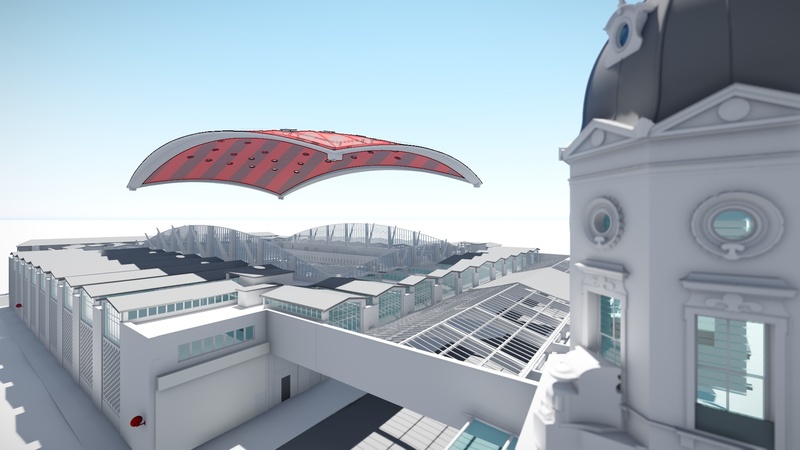 As such, the City has made a significant investment in surveys on the basis that a building information model will inform the technical design and de-risk the subsequent works. 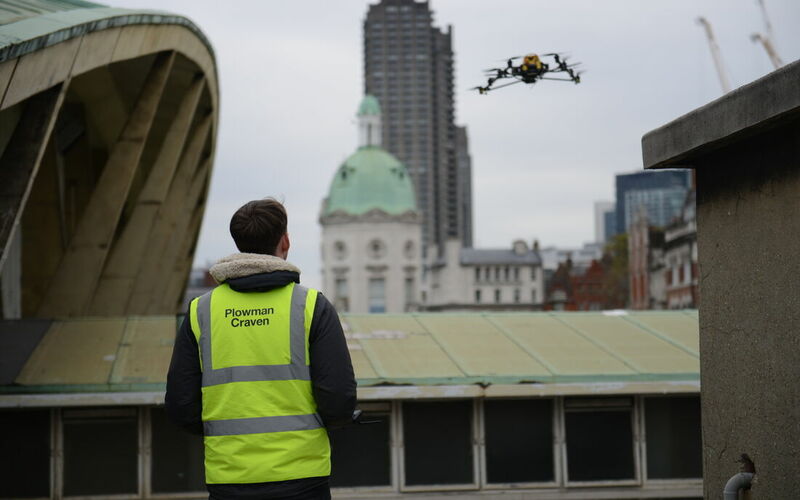 The surveys supplied by Plowman Craven are very useful resources which capture the building condition at a point in time and we have been impressed by the quality of the information and specialist service provided.